Hello my lovely readers! I have a magnificent surprise for you. I've hoodwinked Melanie of Inward Facing Girl and Genuine Mix into starting her new book tour right here with us on Pars Caeli. For those of you who haven't heard me rave about it yet, let me fill you in on the details. 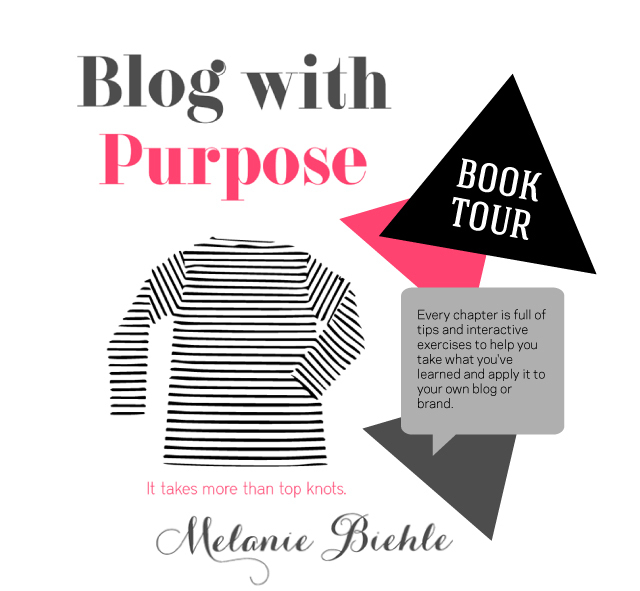 Melanie recently published her e-workbook, Blog with Purpose: It Takes More than Top Knots. If you're not in love just from the title (I was), you soon will be as you click through the powerful exercises and personal stories that will make you laugh out loud. Other great news...Melanie is kicking off a new Thursday series on Pars Caeli entitled For the Love of Blogging, and she's agreed to answer all of my nitty gritty questions about what keeps her fabulous. Also, if you ever meet her in person, ask her for a hug - she gives the best. Enjoy friends! I've been blogging since February of 2009. Actually, here's a funny story that I've never told anyone except Drew, and I only told him recently. I started an extremely short-lived blog in 2003 called "Kate in L.A." It was on Blogger and I might have written in it for a month or so (as "Kate") before I deleted it. At that time I was really into screenwriting and Hollywood and movies and I was living in L.A., so it was about local shops and the entertainment business. HA! But back to my real blog. I started that to get back into writing creatively again after leaving the entertainment world. Here's more about it, if you're interested. Ha...actually showering. I keep a notebook in the bathroom now to write down ideas that come to me underneath the suds. I started doing that because once I slipped down after jumping out of the shower and racing off to find a pen and paper to write something down so my poor postpartum brain would have a reminder. Being a blogger can be dangerous, kids. Almost all of them are written by women (ALMOST) - the writing is strong, the design is good, and/or they reveal personal things as well as share cool stuff. Wow. Everything would be different. What would I do with all that extra time?! Maybe I could start reading blogs again! There's been such a good response to Blog with Purpose that I'm launching an online workshop in mid-April. 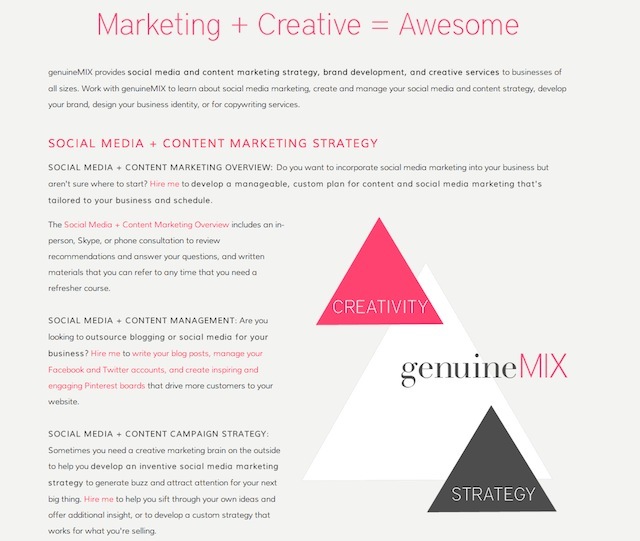 It's a six-week interactive course all about creating content. There will be exercises, feedback, and a Facebook group for all participants. I'm even trying to work in a way to use Pinterest in one of the exercises because, you know, we like to pin stuff. Anything that's based in creativity makes me super excited, and this course is going to help all of us access that place in our brains where the cool stuff comes from. Let's learn how to create unique, fresh, awesome content together! If this sounds fun, be sure to sign up for my email list for more information on registration and launch dates. Isn't she a charmer? And girlfriend knows her stuff, too. I've been working through the chapters from Blog with Purpose, and I have learned a ton. 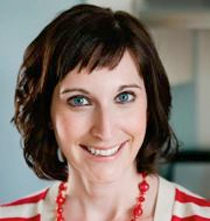 Melanie has set up a great series of practical, useful exercises that help you move your blog to the next level. I appreciated that her tone is aimed at digging deep and finding what you really want out of your blog and then helping you execute that dream. I hope you'll take a look at her workbook; you can even download a free sample to get a feel for the content! Big thanks and big hugs to Melanie. Follow Pars Caeli on Twitter to see her next stops on the Book Tour over the next two weeks or check over to get the complete line up on Inward Facing Girl.